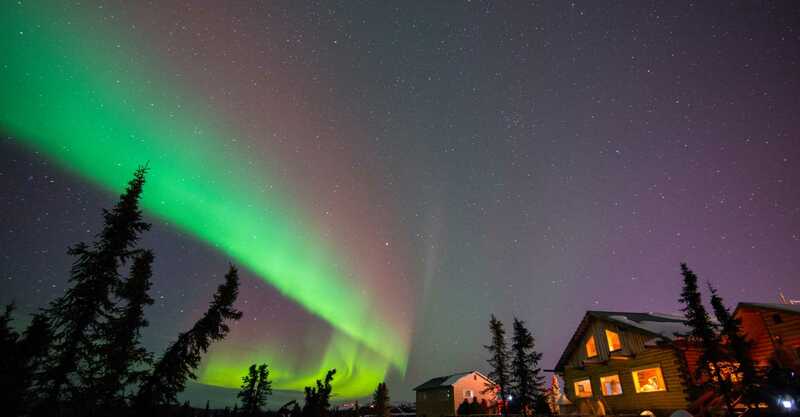 Fairbanks lures people from all over the world to see the captivating light of the aurora borealis. Opportunities to view the northern lights abound. Arrange to view them from a heated “aurorium” cabin, yurt, dome or lodge, on an overnight sled dog expedition, by snow cat tour, while ice-fishing, on a snowmobile adventure or on a flight above the Arctic Circle. Multiple tours will show you how to take photographs of the northern lights or will take your portrait while the aurora dances in the background.